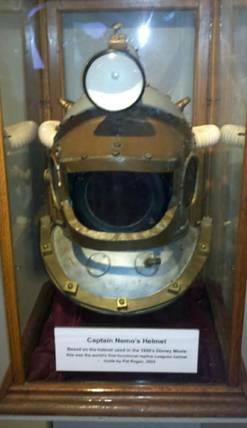 The History Of Diving Museum in Islamorada, Florida claims the largest inventory of diving apparatus in the World. Founded by Drs. 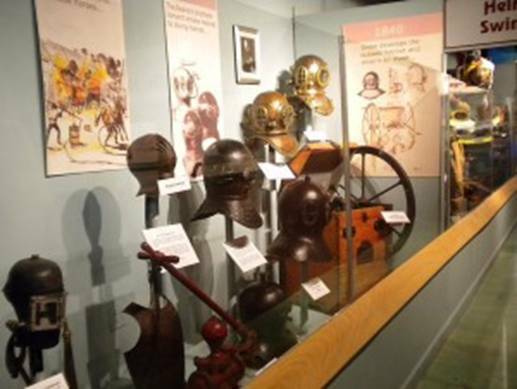 Joe and Sally Bauer, the many helmets on display represent only part of their collection. Doctor Joe wasn't a diving instructor, he was a surgeon. 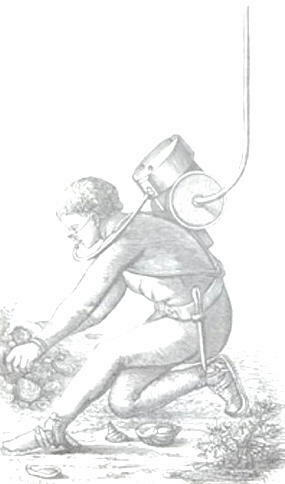 Deep-sea diving was his passion. And Joe's passion is apparent in the History of Diving Museum. 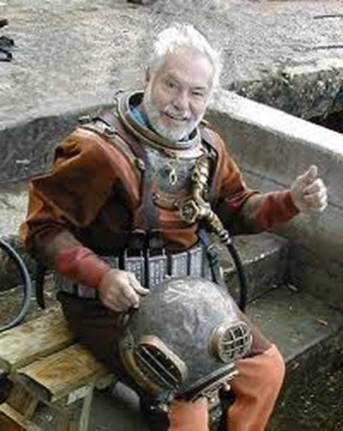 Like many of us, Joe was a fan of Walt Disney's 20,000 Leagues Under The Sea. Not surprisingly, the museum has a section devoted to that film. 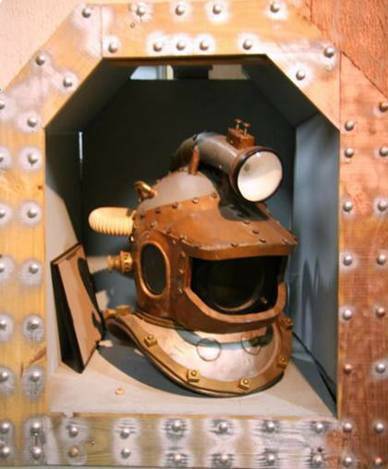 There, you will find my first Nemo helmet. The famous (infamous?) 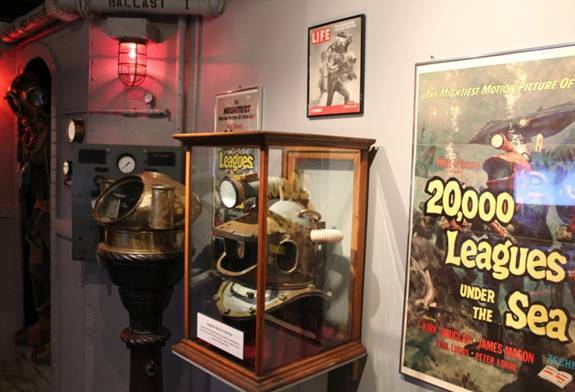 underwater photographer David Haas managed a sneak-preview before the museum was open to the public, and got an in-progress shot of the 20,000 Leagues display. Originally, designers were thinking of a Nautilus-themed alcove. 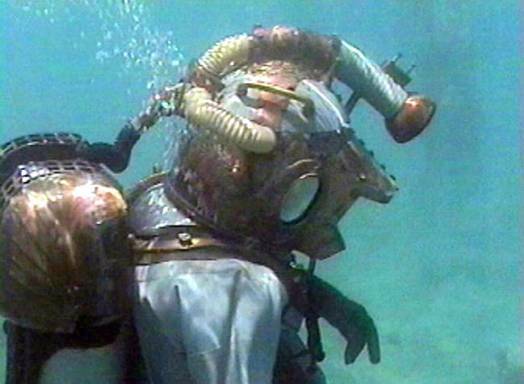 The Internet Movie Database (IMDB) mentions this display in the 20,000 Leagues Under The Sea Trivia section. 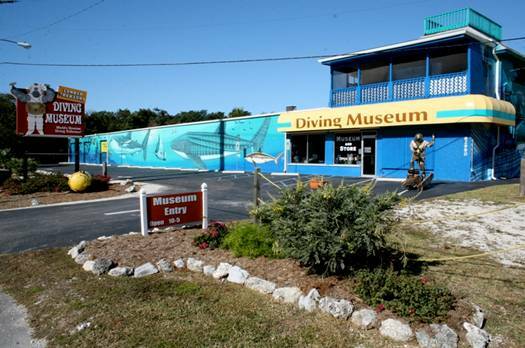 The Florida Keys History of Diving Museum Website has a "VIRTUAL TOUR" that's definitely worth seeing. Here's a direct link to their website. The tour is on the homepage lower left; can't miss it. Enjoy! Images © Copyright Bauer; Haas; Regan, 2008 - 2012, "All rights reserved."